Food delivery services are more popular than ever. They are even more popular these days thanks to technology like apps that let us order food. However the more food deliveries we request, the more transportation that’s needed. That’s not great for the environment. 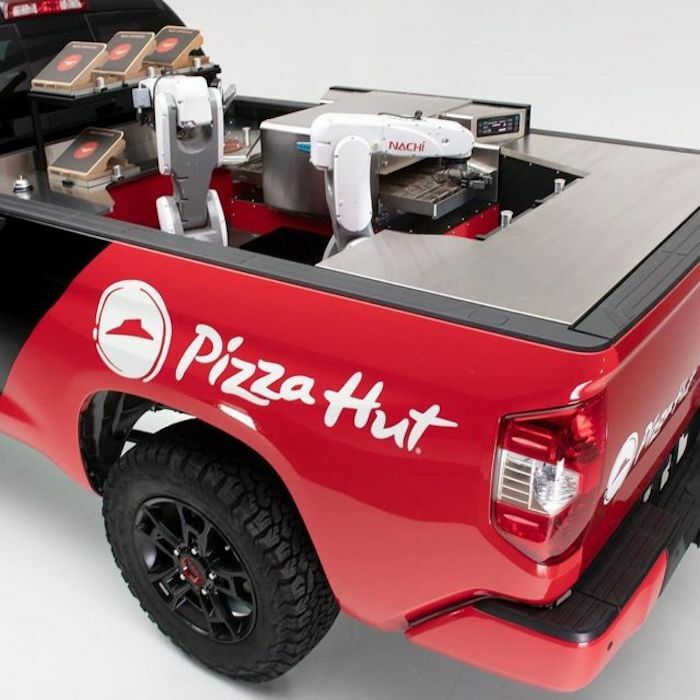 This is why Pizza Hut and Toyota have teamed up to unveil a concept truck that runs on hydrogen. It’s called the Tundra PIE Pro. The Tundra PIE Pro will come with a robot kitchen in the back, where robotic arms will help assemble pizzas while on the go. Pretty impressive concept. The Tundra PIE Pro is just a concept right now because a fleet of these trucks could prove to be pretty expensive.